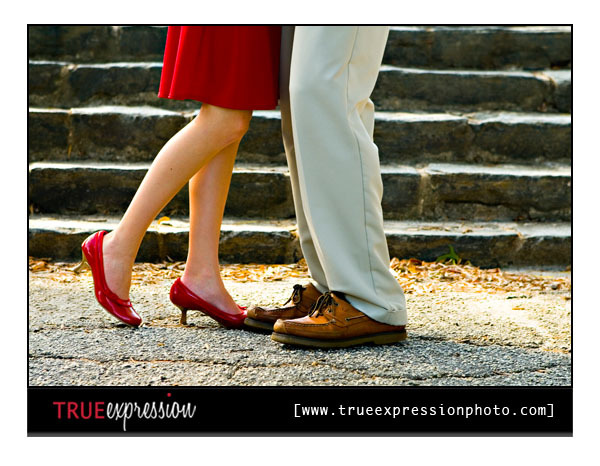 True Expression Photography Blog: Samantha and Brian: Engaged! From the moment I started shooting Samantha and Brian's engagement session, they seemed completely comfortable just being themselves for the camera. 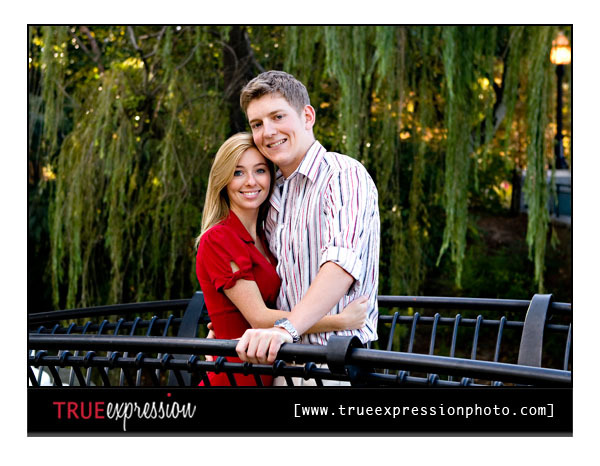 Seriously, these two are such naturals in front of the camera, I would've thought they were models! Plus, they are completely adorable together. Just look at any one of their photos are you can just tell how crazy these two are about each other. 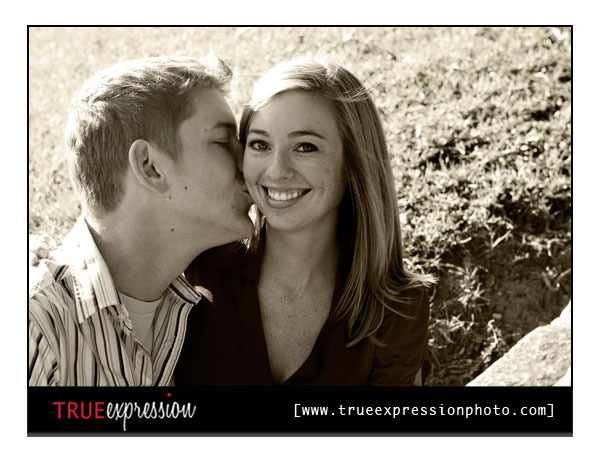 There were just so many photos I loved from their shoot! I managed to narrow it down to some favorites, but it wasn't easy to choose. I just love the shoes Samantha was wearing! The way they look at each other is just so sweet. Here's another one of my favorite shots. 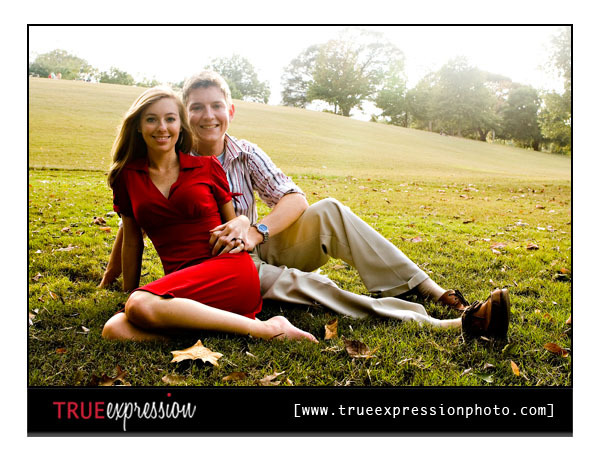 We found a spot in the grass for them to sit for these next set of photos. There was some great afternoon light, and the way the light was hit them was absolutely gorgeous! These are really great! 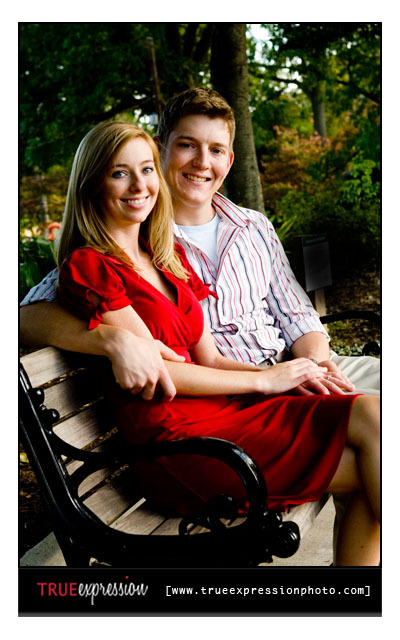 I am sure this couple is thrilled with their images! Wow, so much gorgeousness! What an awesome session! 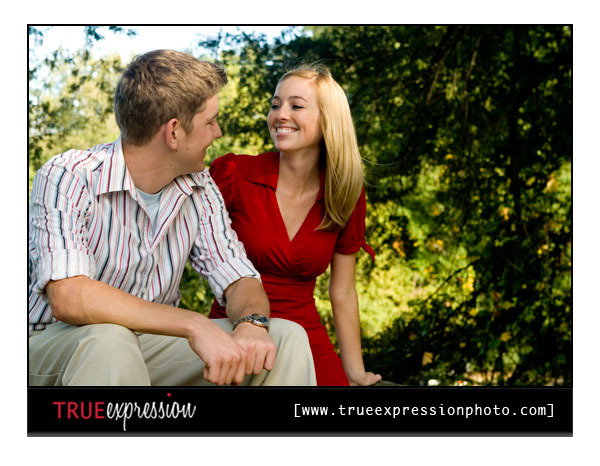 Great images, they look so in love! This blog love thin was fun! :) I have now found so many great blogs that I didn't know were out there!! I LOVE the colors in your shots. That 4th one down where they are sitting together on the park bench is YUMMY. Seriously. LOVE it :) Definitely my fave. Really like the park bench photograph, the lighting is just gorgeous and they look fantastic all of these. Great emotions in there and some great flare wrangling, the post is spot on as well. All round a great job! I bet the love 'em! Love these images! Your a great photog!